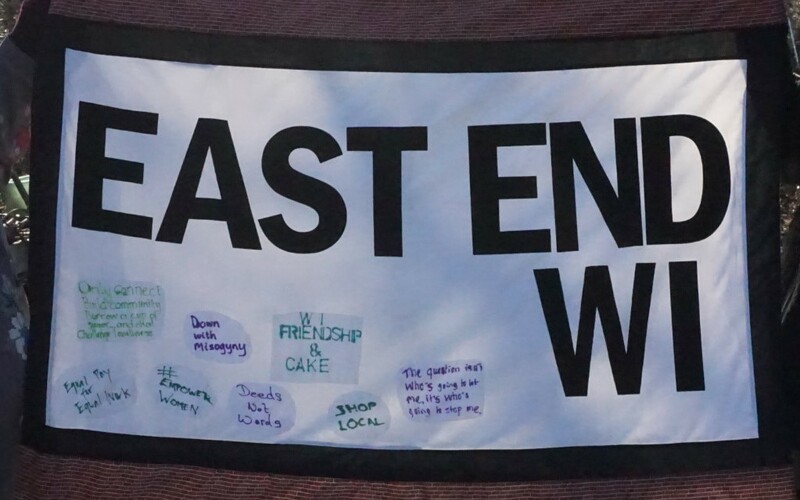 East End WI: It's our AGM! This May is our 8th birthday as well as our 8th AGM. To celebrate 8 years of EEWI we have invited the geniuses at E5 Bakehouse to bring a selection of their baked goods for us to try - there will be breads, savouries, cakes and other nibbles along with some extra drinks and maybe even some bubbles!! The official side to the evening include - the voting in of the president and officers of the committee and the voting on this year's campaign - 'Failing to care - Assessment of Need in Long Term Care.' We will also be presenting our financial and members report as well as having a quick look back at the last twelve months. To keep our non-official side of the meeting on theme we have invited the Roman Road Food Assembly to come and talk to us about their current project. This meeting unlike our other monthly meetings is for members only and we urge everyone who has already joined to come along and also those of you who are thinking of joining. As a reminder membership from this point for 2015 is £27. As usual we are meeting at St Margaret's House, 21 Old Ford Road, London E2 9PL. Go through the gates to the left of the Gallery Café on Old Ford Road, follow the path round the garden to the right where you will find us in the hall. 7pm for a 7.30pm start.